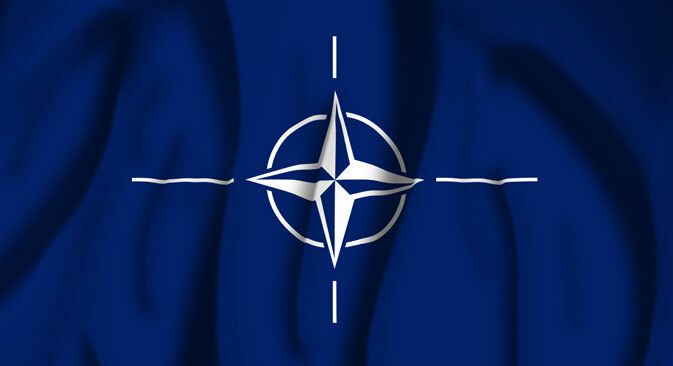 NATO will hold its first summit since the start of the conflict in Ukraine on September 4-5. According to information leaked to the media, the alliance is planning to adopt several measures aimed at deterring Russia from military action against European nations. Analysts polled by RBTH fear that heightened anti-Russian rhetoric may provoke the Kremlin into a disproportionately heated response. According to German media outlets, NATO may officially declare Russia a threat to the alliance at the opening of its summit in Wales on September 4. The organization also has plans to establish five military bases in Eastern Europe. Although Russian political scientists do not believe the plans pose a serious threat, they are not ruling out a disproportionate reaction by the Kremlin, citing suspicion dictated by historical experience as a key factor. “This summit serves as a record of the new state of international relations in Europe, a departure from the concept of the indivisibility of European security, and the start of a new confrontational reality in relations between the alliance and Russia,” said Dmitry Suslov, senior lecturer at the Global Policy Department of the Higher School of Economics in Moscow. Suslov believes that the key decisions taken at the summit will include a declaration to expand NATO’s military infrastructure into the territory of its newer members, and to open new NATO bases in the Baltic states, Poland, and Romania. Meanwhile, Russian political scientists say NATO has never been friendly towards the Kremlin. “In the last several months we have already gotten used to talk of Russia no longer being a strategic partner and of not being able to trust Moscow,” Timofei Bordachev, director of the Center for European and International Research, told RBTH. “From a practical standpoint, it’s unlikely to bring anything new. And the NATO countries aren’t ready to seriously expand their potential on the border with Russia,” he added. Several Russian commentators are of the opinion that NATO has no desire to sour relations with Moscow over the Ukraine crisis. “Yes, there might be some ritualistic phrases on redrawing borders in Europe and on Russian aggression, but they will need Russia in the long-term (20 to 30 years) in order to keep the conventional superiority of ‘Western society’ in world politics, so they’ll try not to provoke Moscow,” Andrei Sushentsov, political scientist and managing partner at the Vneshnyaya Politika (Foreign Policy) analytical agency, told RBTH. It is for this reason that NATO will put talk of expanding the alliance to include other post-Soviet states on the backburner. “A lot of countries will talk about the need to mention the possibility of accepting Ukraine and Georgia into the alliance in the final declaration for the summit,” said Suslov. “However, I am hoping that the key European countries - France and Germany - will oppose this wording, because such hints will merely bolster the antagonism between Russia and the NATO countries,” Suslov said. However, there remains a possibility that the Kremlin may take a hard line with NATO and meet its moderate measures with radical steps. There are several reasons this is a likely scenario. Firstly, the spectrum for cooperation between Russia and NATO is so narrow that Moscow lacks moderate options for retaliatory sanctions. One of the few moderate responses available to it would be to rethink its relations with NATO in Afghanistan. However, the value of this instrument of pressure has plummeted recently. “The significance of cooperation on Afghanistan is on the steady decline. It remains to be seen whether our cooperation on the ‘helicopter package’ [supplies of Russian helicopters to the Afghan authorities using Pentagon money, as well as helicopter maintenance – RBTH] will continue. As for transit, the flow of freight and personnel through Russian territory is steadily declining,” Suslov said. Secondly, Moscow is very likely to pursue radical measures because of its siege mentality. As a classic continental power, Russia is extremely suspicious of any enemy that strengthens on its periphery, and tends to exaggerate threats (for an underestimation could result in a new invasion). According to Bordachev, a decision by NATO to create new military bases in Eastern Europe “would increase the Russian leadership’s sense of anxiety, even though in practice it is not a serious problem for Moscow, and more is needed to reassure the Eastern European members of the alliance,” he said.